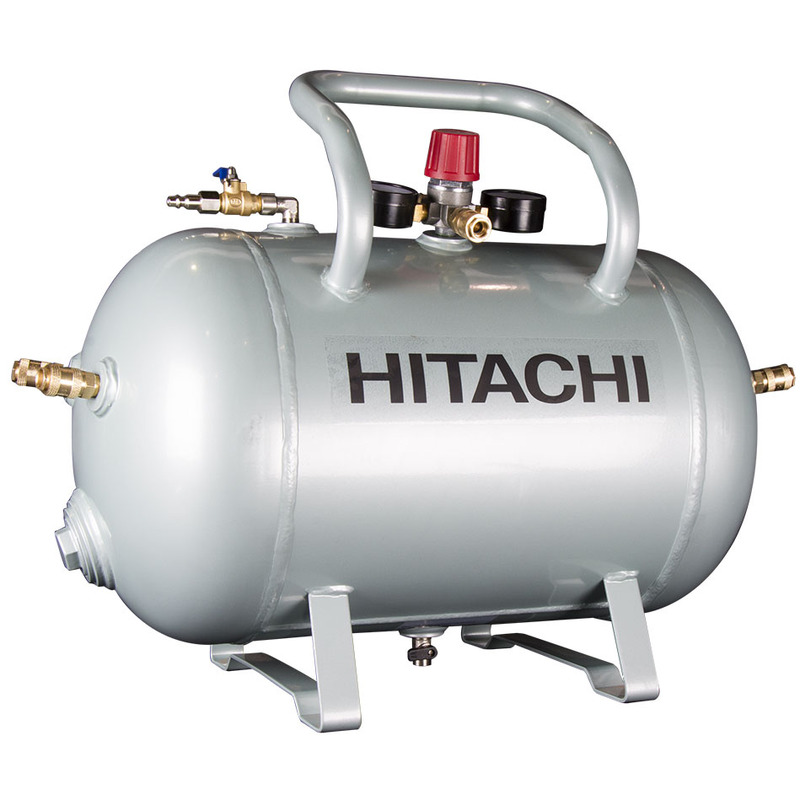 The Hitachi 10-Gallon Reserve Air Tank is an ASME certified air compressor that creates sufficient air pressure for all nailers that are being used. Its PSI will remain constant, even if the nailer is 200ft. 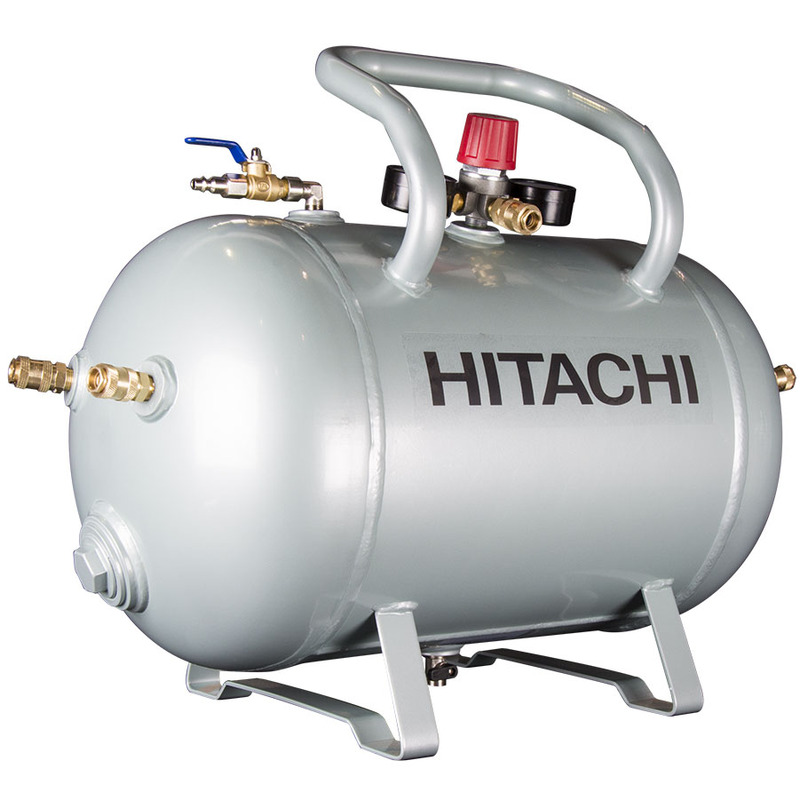 or more away from the compressor. 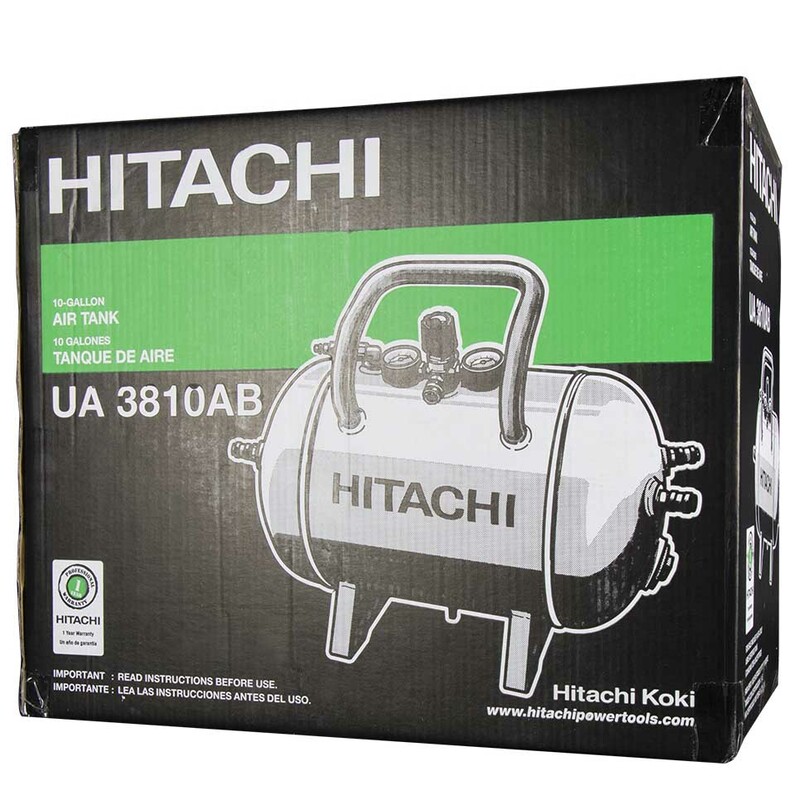 It has angled steel legs that provides additional stability, support, and increase durability, even with the abuse endured by hostile job site usage. 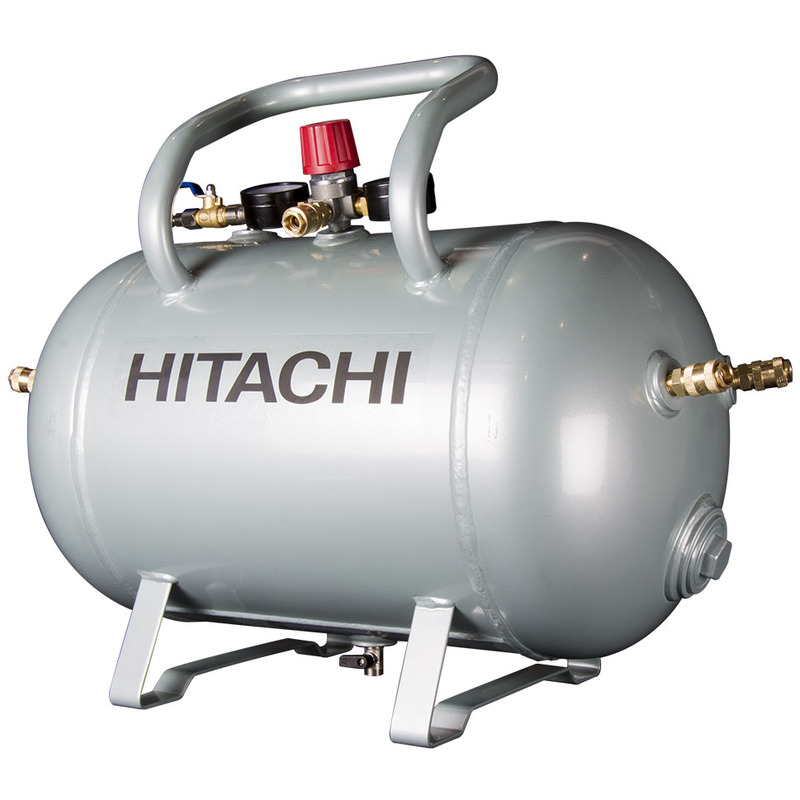 The standard factory installed large knob regulator is convenient in the event that a nailer, such as a palm nailer, might require less PSI than other nailers on the job site. 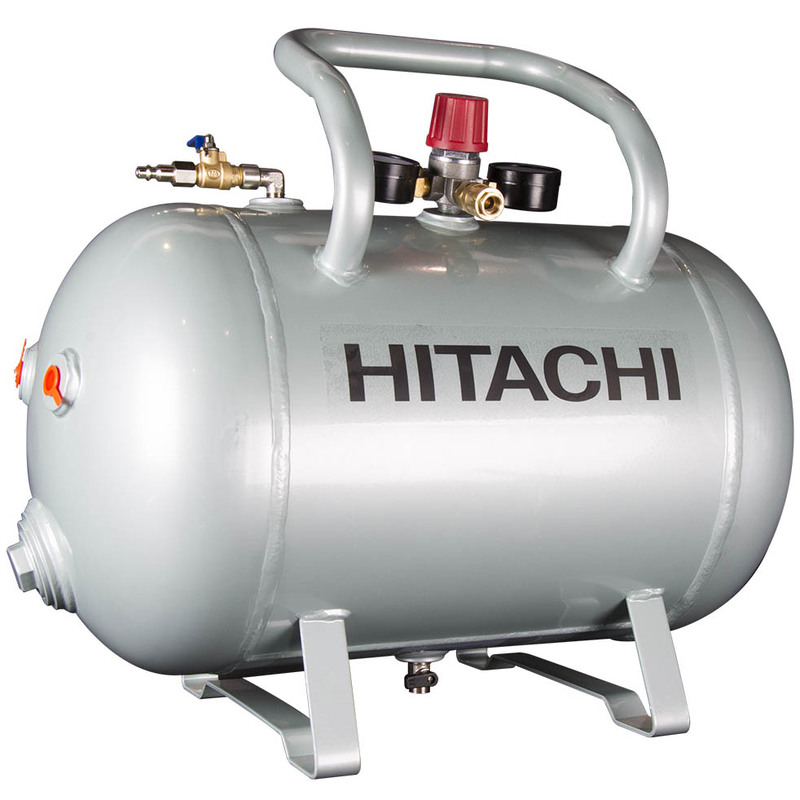 This air tank from Hitachi has a roll cage design that protects the gauges and regulator and comes with four 1/4in. Quick Connect Couplers with 3/8in. NPT, one 1/4in. Quick Connect Coupler (located on Regulator) with 1/4in. 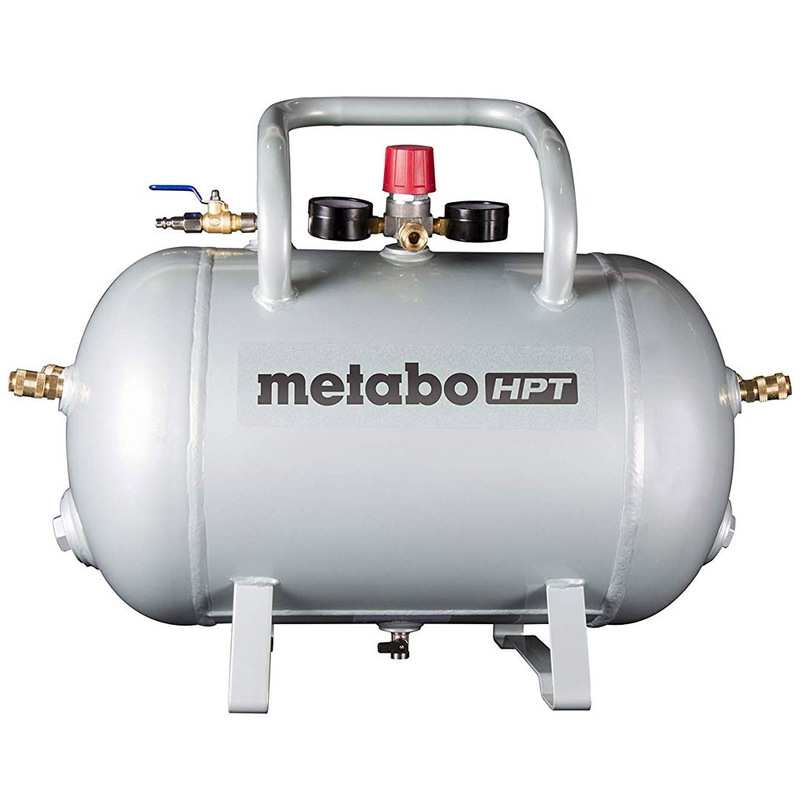 NPT, one Safety Relief Valve, one Industrial Tank Pressure Gauge, one Industrial Regulated Pressure Gauge, Industrial Ball (Shut-Off) Valve on Input, and one 1/4in. Industrial Plug.